USE FOUR SIMPLE, WHOLESOME AND NATURAL INGREDIENTS TO BREW THE FINEST RANGE OF CASK ALES. Despite the simplicity of the ingredients – barley, water, yeast and hops – it’s in the creation of the recipe that the art and skill of the master brewer lies. That’s the real secret to success. Turn those basic ingredients into some of the best cask ales available today – each with its own individual flavour, aroma, colour and characteristics. The sunny climate and the fertile soils of Suffolk and the nearby East Anglian countryside produce the best malting barley in the world, and we take full advantage of having it right here on our doorstep. We draw our water from the artesian chalk wells sunk 200 feet deep below our Brew House in Bury St Edmunds. We are lucky to have our own supply of water, the same supply used for brewing by the monks of the town’s Great Abbey over 900 years ago. Yeast is key to the brewing process as it transforms the sugars from the malted barley into alcohol and carbon dioxide. It also contributes to the character of the ale. Hops work as an antiseptic and a preservative and provide much of the character of beer – all those fantastic bitter flavours and wonderful aromas. Our brewers begin by selecting only the best barley from which to make malt. Malt is made by soaking the barley grain to encourage germination. At a critical point, germination is stopped and the barley is transferred to large kilns for roasting. Kilning browns the malt, which adds colour and flavour to the beer at a later stage. The roasted malt is then milled to a powder, or grist – from where we get the phrase ‘grist to the mill’. Once the grist has been produced it is mixed with hot water to form a porridge-like mash. This is pumped into a mash tun (a large copper vessel) where it stays for about an hour at a constant temperature of 65°C. The result is a solution that brewers call sweet wort (pronounced ‘wert’). The sweet wort is then transferred to what is traditionally called a copper and acts like a giant kettle. The sweet wort is boiled in the copper and the hops added. Boiling continues for about an hour, after which the filtered solution – now called just wort – is transferred to the fermenting vessel. The fermentation process is started by adding – or pitching – a carefully measured quantity of yeast to the wort. The yeast converts sugar into alcohol while at the same time producing large amounts of carbon dioxide, which gives beer its characteristic sparkle. Ale yeasts generally ferment for up to five days at around 18°C and rise to the top of the fermenting vessel. The liquid produced in the fermenting vessel is beer. If it’s destined to be a ‘real ale’, it’s put straight into casks. There is still a small amount of yeast in the beer at this stage and this will perform what is called a secondary fermentation. This gives the beer its final, desired taste. The last ingredient to be added to each cask is finings, which helps settle the yeast and clear the beer ready for drinking. Cask ale is a living product and will only keep in an unopened cask for 35 days. Once opened, the beer must be consumed within three days. 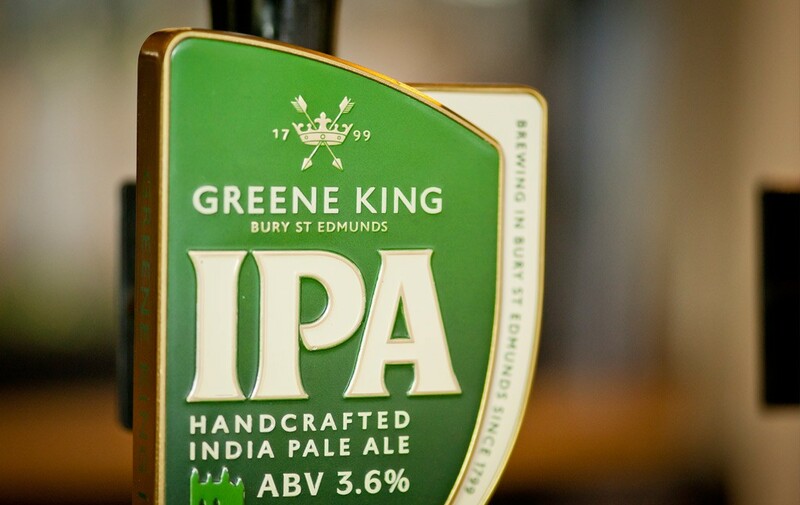 It requires critical storage conditions and skilled handling to ensure customers can enjoy the perfect pint every time. I BET YOU COULD DRINK A PINT NOW!